Ok be honest, do free camping sites sound good? Y’all I recently paid $1,500 for a month at an RV park. Granted this was in Florida and in season. Plus that was a discounted monthly rate, so free camping sound amazing to me right now. This was the cheapest park near my family, and I decided I wanted to find a way to cut our costs. While I like cheap campsites, I like free ones even better! Camping for free with an RV this is also called boondocking. The sites I share are for both tent campers and RVers. Free camping with a tent is also known as dispersed camping. Boondockers Welcome is a great site that connects people with free campsites. You do have to pay for a membership to the site but at $25 for the year or less you can’t beat the price. This site allows you to search for places where you are or where you want to go. These are places offered up by other people who like to boondock. Normally it’s a spot in their yard, on their farm, etc. You should be prepared not to have any hookups. Some might offer water or wifi. Many offer the use of their pools if they have one or bring out coffee. The downside is in most cases you can’t stay for more than 1 night at a time. 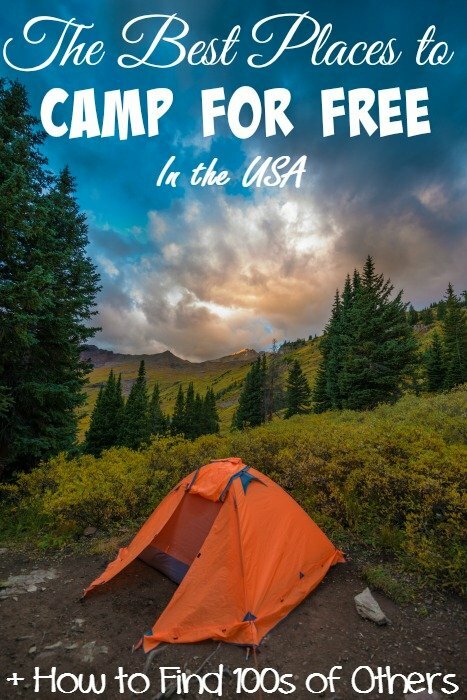 A site that is free to use is Free Campsites. Pull up the area around you and it pulls up freebies along with state parks where you can obtain a permit to camp, it gives most of the information you need for each spot from the size of the camper the site holds, the contact and website info and if the road is gravel dirt, etc. People can leave reviews on each location and if you find a free place to stay you can add it to the site. 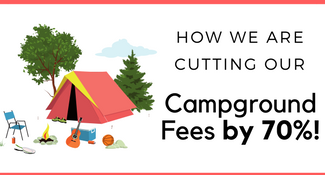 Free Campgrounds is like Free Campsites above except here you need to watch because they will list any campground that is $15 or less per night. The site is very clear on listing how much per night a site is, and it is still easy to find the free ones. The next one I use in app form, it’s called All Stays. The app uses your location and shows you what is around you. This includes Walmarts and Cracker Barrel’s that allow you to stay overnight. They also have a website you can use to plan out your route. This one shows, paid campgrounds, free ones, and truck stops. 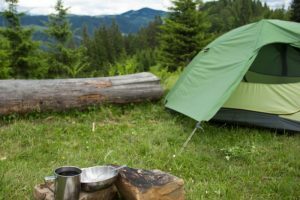 Public lands such as BLM (Bureau of Land Management), National Forest and National Grasslands, Fish and Wildlife Management and more will allow free recreational camping. The easiest way to find these is with the US Public Lands app (also available on iTunes). You can also do searches online with the state you are looking for such as ‘National Forest and National Grasslands in Tennessee’. You want to make sure you call the regional office and let them know you are looking to dry camp with a tent or RV and get the information, some places you still need a permit others to have to stay limits. They can also get you directions to where you can stay and if you are using an RV how big of a rig you can take back there. 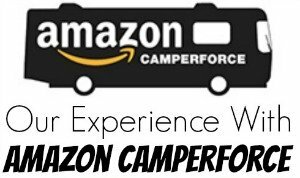 Ultimate Campgrounds is another round up of places including free and paid sites but it has more sites than others likes those on Native American Grounds and non-profits as well. A more unique way to find free places to camp is with Harvest Hosts. There is a $44 a year cost, but that is to access the list of hosts. You can then stay with hosts every day for the rest of the year for free. The location you would be staying at are sites like wineries, farms, buffalo ranches, open-air museums and more. They are scattered all over the country and make for some beautiful scenery! Generally, this is meant to stay 24 hours but if you offer to volunteer you can usually stay an extra day or two depending on the host. You will interact with the host and learn about what they do, enjoy tastings and more. While the site is free you are encouraged to make a purchase from the host, whether it’s eggs for breakfast or a bottle of wine for a birthday gift, this is a way to say thank you. Facebook Groups have popped up as well to report on where you can camp for free. 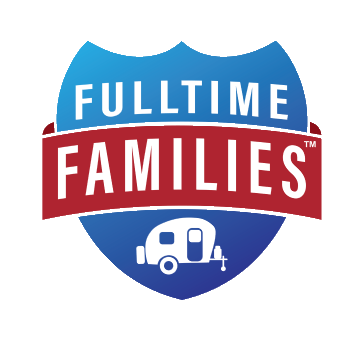 One of the most popular is the Boondocking & Free Camping USA this is a large group of campers coming together to talk about where you can camp for free and tips on doing so. Now as the last option, you can stay overnight is many parking lots if you need just to find a spot to sleep in between destinations. Walmart and Sam’s Clubs are famous for this. Cabelas is another one and more popular because they tend to have a water station and dump station as well! Some others that you can do this at are Cracker Barrels, truck stops, and rest stops. Keep in mind this is meant only to be 1 night, and you should always ask the store manager for permission before just setting up. We have heard of many churches allowing this as well. These places do this to be kind, don’t abuse it and try to set up camp for days at a time. Yosemite National Park – There is a free U.S. Forest Service camping spot along Highway 120, just before the Big Oak Flat. The park entrance is at Harden Flat Road. This spot is less than 28 miles to Yosemite Valley. The Forest Service allows you to camp for up to 21 days. You will need a permit to camp here, and they can be obtained at the Stanislaus Ranger Station on Highway 120. Oregon Coast – Honestly this one is self-explanatory watching the sunset on the Oregon coast over the water is relaxing. There are plenty of places to camp for free on the Oregon Coast so take your pick. Lizard Head Pass – Located in Colorado there is free camping at Lizzard Head Pass. You are up in the mountains about 10,000 feet above sea level and the views of the Rocky Mountains. Blue Valley – Located in North Carolina this one is in the Smoky Mountains and on one of the many creeks. You can camp for free at Blue Valley for up to 14 days. You are right near many of the hiking trails that lead to the waterfalls. Jackson Hole Grand Teton National Park – Located in Wyoming there are several places you can camp for free in Gran Tenon National Park. The views from these spots are of what is called the most beautiful mountain line in America. You can watch the sunset behind them and watch clouds roll over them. Plus lots of great wildlife. Store your food bears are known in this area! Make sure to check out these great free sites as well! What are your favorite sites you have camped at for free? How did you find them? How do I subscribe to your blog, please? Thanks so much for this, really useful. I’m always keen to hear about more free camping spots. I was really excited to see the free camping right outside the Smoky Mountains. There is so much out west, but hardly anything on the east coast. Thanks for sharing all this!! 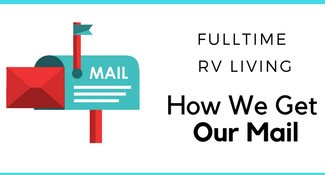 At just under a year, we are new to RV ownership. 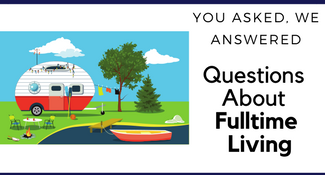 These ideas for free camping will come in very handy when we take our second long trip – coming up soon in the fall! We think we know what we are doing (kind of), so we can now try out some sites without electricity, water, sewer, etc.